UniSA’s Prof Lorimer Moseley earns a Doctor of Science March 31 2017 The University of South Australia will present Professor Lorimer Moseley with a Doctor of Science on March 31, acknowledging his distinguished international contribution to physiotherapy and clinical neuroscience.... Pain neuroscience education (PNE), also known as therapeutic neuroscience education (TNE), consists of educational sessions for patients describing in detail the neurobiology and neurophysiology of pain and pain processing by the nervous system (Louw, Diener, Butler and Puentedura. 2011). Low back pain (LBP) is a highly common problem with a lifetime prevalence of more than 70%. 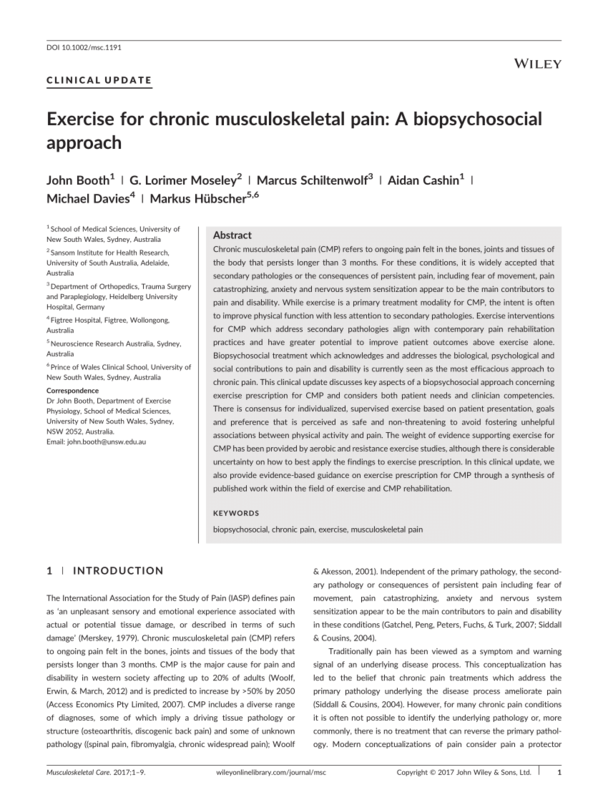 A substantial part of chronic LBP is attributable to degenerative changes in the intervertebral disc. 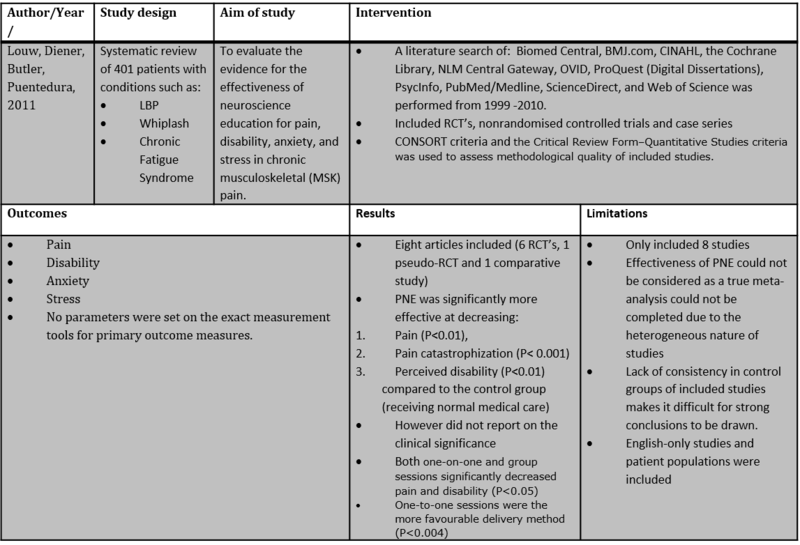 A recently published RCT assessing the treatment intradiscal injection of methylene blue for chronic discogenic LBP, showed exceptionally good results. It’s alarming to think that 1 in 4 people experience persistent pain but that’s the reality, says professor Lorimer Moseley, clinical scientist, author and pain expert from the University of South Australia.